We are pleased to share non-TCTA events that are also happening on the Cohos Trail. Please go to each website for further information. If you like to hike and wake up to the sound of birdsong, then the birds could use your help this June. Mountain Birdwatch is a long-term mountain bird monitoring program administered by the Vermont Center for Ecostudies, with 129 survey routes across the Catskills and Adirondacks, New Hampshire, Vermont, and Maine. Routes consist of 3-6 sampling stations along hiking trails in the montane spruce-fir forest. Observers choose any morning in June to complete their survey, which consists of repeated 5-minute point counts for 10 species of birds including Blackpoll Warbler, Yellow-bellied Flycatcher, and Bicknell’s Thrush (species often missed from roadside counts). The short list of monitored species means that almost any birder who likes to hike can participate. Since 2010 alone, several hundred Mountain Birdwatch citizen scientists have conducted 18,636 point counts in the mountains. The protocol is simple and has been newly-revised for 2018, and the results provide powerful insight into the health of our montane bird populations (read one of our recent publications here). 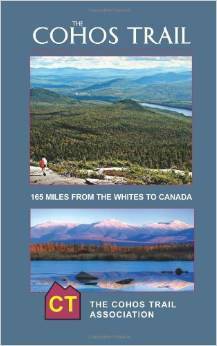 We still have routes available along the Cohos Trail for surveying this June. Interested folks should contact Jason Hill ([email protected]). You can learn more about the Mountain Birdwatch program, see a map of available routes, and find out the status and population trends of monitored bird species by visiting our State of the Mountain Birds website. If you love adventure, you’ve found one. Challenging terrain, epic views, and a bit of local legend will keep you motivated as you move through the course. Trekking, mountain biking, paddling – METALLAK is an adventure you won’t soon forget. METALLAK is a unique racing experience that combines the traditional concepts of adventure racing with a marked route. 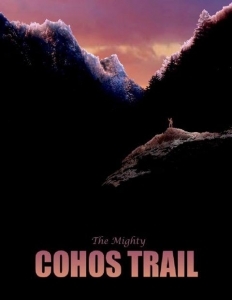 It’s a true test of mental and physical fitness that unfolds on a stunning course, much of which is along the Cohos Trail . Highlights include on-site camping at Mohawk Falls, local food, craft beer, and convenient, spectator-friendly transition areas. Choose your challenge (4-hour or 8-hour). You won’t leave without a STORY worth telling.